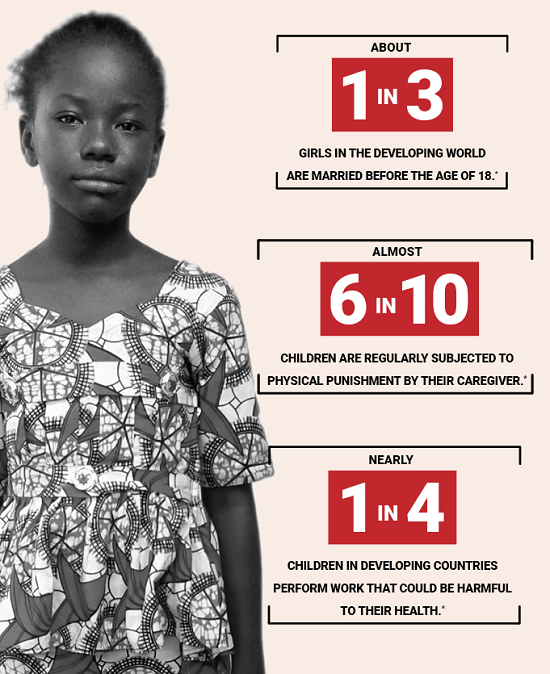 Every two seconds, one girl is forced into early marriage and robbed of her childhood. In Mali, more than half of all girls are married before their 18th birthday. Thirteen-year-old Marie and her friend, Aminata, just 12, are members of a Right To Play Child Rights Club in Bamako. They have something powerful to say and want their message spread as widely as possible. Why can't you allow me to live my childhood fully? Don't you know that early marriage will harm my present life? Trading my life for his desire and your honour. My heart is shrinking with every endless barren night. I am pleased that I obeyed my parents. As if I could choose between yes and no. So a new world can open up to me. Please, say no to early marriage. It's up to all of us to listen and take action. Right To Play works in Mali and around the world to teach children, their families and communities about every child's fundamental right to be educated, healthy and safe. When Aminata and Marie joined the Child Rights Club, they learned that when a girl is married as a child she is much more likely to drop out of school and will have a higher risk of violence, abuse and illness in her lifetime. They wanted to make it loud and clear to their parents, the elders in their community, and the world that the lives of millions of girls depend on us putting a stop to early marriage. With support from our Right To Play Coaches and the other children in the Club, they put their feelings into words and their poem came to life. Then something amazing happened. 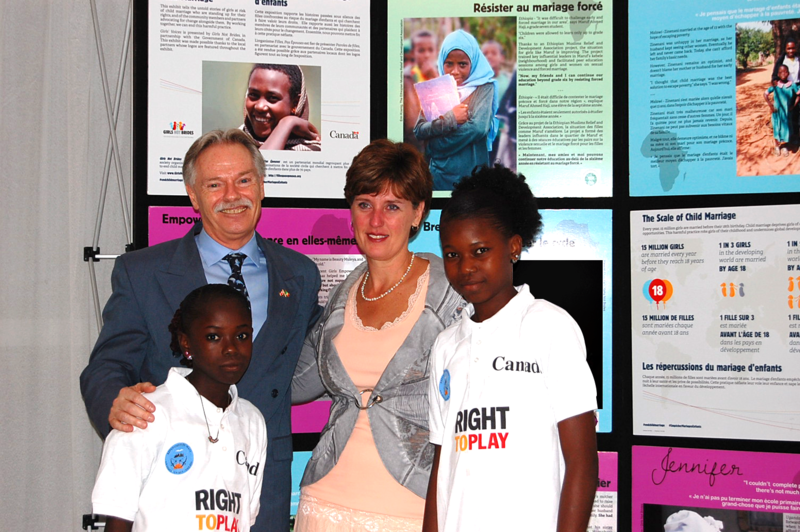 In August, they were given the opportunity to present their poem to a special guest from Canada, the Minister of International Development and La Francophonie, Marie Claude Bibeau. Below is a photo of them afterwards with Minister Bibeau and the Ambassador of Canada in Mali, Mr. Marc André Fredette. The most exciting moment of their lives, Marie and Aminata proudly stood up for themselves and the girls in their community who don't yet have a voice. All children deserve to be heard. 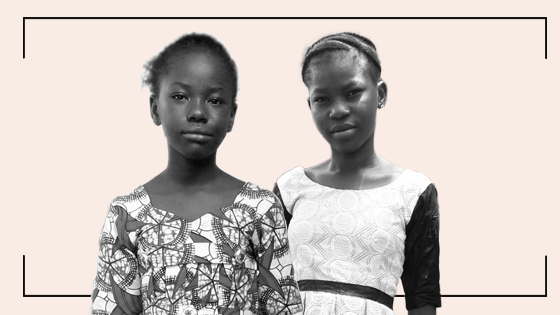 Your support today will ensure more children like Marie and Aminata are heard and protected.